Jeffrey Davis (left) described his wrist fracture to health coach Mike Jeudy and medical director Dr. Nancy Cibotti at Iora in Burlington. BURLINGTON — A year ago, Jeffrey Davis had just about given up on going to the doctor. He was tired of waiting for physicians who always ran late, tired of being rushed through appointments, tired of never having diagnoses or treatment plans fully explained. Then a coworker suggested that Davis, 53, of Haverhill, check out the Iora Health practice in Burlington. There he found the attention, care, and personal interest that was so lacking in his past experiences. Davis is part of a large pool of Americans who have become disenchanted with the conventional approach to medical care. Iora aims to tap this discontent with a business model that the for-profit company hopes will remake the health care system. The company, which was founded by a doctor from Massachusetts General Hospital and a health industry veteran, attempts to deliver cost-saving primary care through a combination of preventative care, technology, and human contact, all pulled together with a simplified payment model. 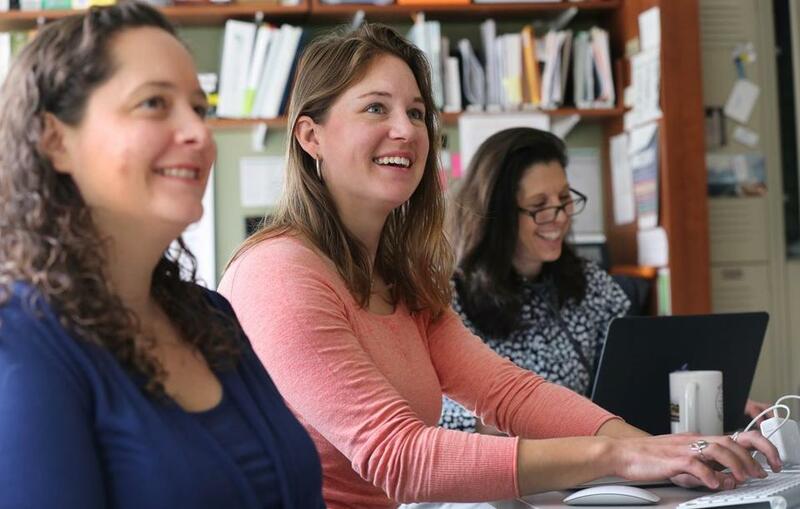 Iora, headquartered in Cambridge, runs 13 practices in six states, including in Burlington and Dorchester. In total, the practices serve 12,000 patients. In January, the company raised $28 million from seven investors, including the venture capital firms Foundation Medical Partners, of Connecticut and Boston; Fidelity Biosciences, a unit of the Boston financial service company; and California-based GE Ventures, an investment arm of General Electric Co. In two previous rounds of funding, the company had raised about $20 million. The latest funding will allow Iora to at least double the number of practices it operates over the next year, Fernandopulle said. Today, most medical care is paid for by a fee-for-service system in which each procedure, test, and office visit is billed separately. This model creates an incentive for medical professionals to schedule more procedures, tests, and appointments, whether needed or not, said Dhaval Dave, a professor of economics at Bentley University in Waltham. The fee-for-service model, he said, is one of the reasons that health care costs have grown sharply in recent decades. Iora tackles this problem by focusing on one slice of the system — primary care — and replacing the fee-for-service approach with a different model. The company finds large companies or organizations such as unions that are interested in trying out a new approach. These sponsors, which include the New England Carpenters Benefits Fund, Lahey Health, and Dartmouth College, have agreed to pay a flat monthly fee for each patient. Employees still carry standard insurance for medical needs beyond primary care. Iora focuses on preventative care, with the goal of reducing the number of high-cost events like emergency room visits and acute illnesses, keeping overall medical costs down for their employers. If Iora can keep a patient healthy and provide care for less than the monthly fees, then Iora makes more money. “If we’re able to deliver care better and cheaper, we’re going to unlock so much value,” Fernandopulle said. The concept of focusing on outcomes and paying one sum for a range of services is not new. Many insurers have recently experimented with models that coordinate care through one physician or pay a fixed sum for each illness or hospitalization. Iora’s approach begins with the patient experience. Each of Iora’s practices is staffed by a team that includes physicians, nurses, behavioral health specialists, and health coaches, who are all involved in delivering patient care. “I don’t wear a white coat for a reason: We’re all equal team members,” physician and medical director Nancy Cibotti-Granof said. From left, Heather Carroll, Kathryn Evans, and Nancy Cibotti-Granof, who work at Iora Primary Care in Burlington, took part in a daily staff meeting Friday morning. The health coaches meet with patients during appointments, help them navigate referrals and insurance, and generally do what it takes to keep a patient healthy, sometimes even going grocery shopping with them or accompanying them to appointments with specialists. The average appointment is an hour long, providing ample time to discuss a patient’s concerns. Exam rooms are larger than in typical doctors’ offices, with plenty of room (and chairs) for patients to bring along family or friends for support. Patients don’t spend their entire appointments perched on exam tables wearing thin johnnies; most of each meeting takes place fully clothed, seated at low round table. A screen on the wall lets patients see notes the health coaches and doctors take about the appointment. “We try to eliminate the barriers to people feeling comfortable in a medical practice,” said Wendy Storch, a registered nurse and the clinical team manager at the Burlington practice. The human touch is backed with technology. Iora has developed software that produces a “worry score” for each patient, a number from 1 to 10 that tells the team how often they should see and follow up with each person. The system also allows patients who are tracking their own health data — blood pressure or glucose level, for example — to send the information directly into the system via a text. Iora’s approach seems to be working. At one Iora site, hospitalizations are 37 percent lower and health care spending 12 percent lower than with a control group using a more conventional health care system, according to the company, which declined to disclose the locations. At two other sites, emergency room visits were down at least 30 percent. Iora is not yet making money, Fernandopulle said, but he expects the company to become profitable as it expands. If Iora succeeds, he said, he hopes it accelerates change across the industry.